Hayley Stone received a Bachelor’s degree in History from California State University, Sacramento with a focus on American history. During her final semester, to complement her own research for a novel set in the Old West, she organized a special course studying women’s roles in and their contributions to the West. Family legend has it that Hayley is distantly related to famed outlaw Jesse James on her mother’s side. She is currently participating as a mentor in Pitch Wars. You should follow her on Twitter. I haven’t seen many Westerns. At the time of this writing, maybe only a handful. I know what you’re thinking: But, Hayley! You’ve written a novel set in the Old West! And now you’re writing a blog post about it! You fraud! You no-good, dirty rotten scoundrel! Yes, yes. Let it all out. Y’see, while both my dad and grandfather are enormous Western film fans, I was never taken with them much myself growing up. It wasn’t until I began researching the actual history that I developed a deep love for the period, and an appreciation for its fictional counterparts. What’s more, with the growing popularity of flintlock fantasy and weird west, the Western setting is seeing a delightful revival. Yet, like those classic westerns of yesteryear, there is a danger of falling into those same tropes. Which is a darn shame, because truth is stranger than fiction, and the real Old West might boast the strangest tales of all. 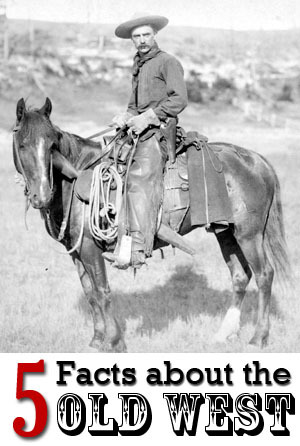 That said, here are a few facts about the real Old West in all its wacky, frontier glory. Being an outlaw was a rough gig, and most criminal’s careers ended in a dust grave. Even so, it was sometimes difficult to convince a nervous public that the badmen were, in fact, dead. One solution was photography. 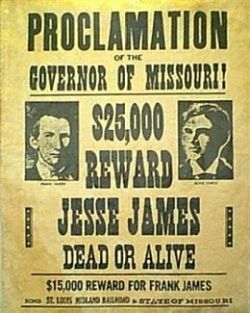 Not only was photographing dead outlaws necessary for legal purposes (confirming the kill for a reward, if one was being offered), but it also helped settle locals. Even more disturbing, the dead outlaws were posed for the photos in an upright position, usually propped against a wall. Photographers had to move quickly, while they were still “wet” in order to get them fixed before rigor mortis set in. Yes, Westerners may have been accused of a lot of things, but being gullible wasn’t one of them. They were the original “pics or it didn’t happen” crowd. Often more detrimental than outlaws, range wars were a constant source of violence on the frontier, particularly in Montana, Wyoming, and Texas. Few things were as important to a man out West as land and cattle; fortunes rose and died on these cows. In fact, many wars stemmed from conflicts between great cattle empires (some managed by British or Scottish companies) and homesteaders. They’re your typical mom n’ pop versus corporate stories—but with more cows. Whether a feud or a range war, when a dispute turned bloody—as they did frequently—it was just as likely to stay contentious for a long time. These Western “blood feuds” passed from generation to generation, kept alive by kin and a mean, stubborn spirit. Arguments over cattle or horses could often be simply an excuse for fighting, too. The Civil War left a lot of sore losers on the side of the South, and the conflict experienced its dying throes in many of these feuds and wars. Examples include: the Sutton-Taylor feud, Graham-Tewksbury feud (also known as the Pleasant Valley War), and the Horrell-Higgins feud. This should go without saying—but apparently not, if you judge by the amount of female characters practicing the world’s oldest profession in Western fiction. In reality, frontier women lived diverse lives. They worked as physicians, ranchers, businesswomen, and brothel owners. Many were wives and mothers. Others even became outlaws themselves. And contrary to popular belief, saloon girls and Hurdy-Gurdies were not interchangeable names for a prostitute, but separate careers altogether. Prostitution itself was not a one-size fits all business either. It had its own caste system, strictly enforced by the women themselves. Beginning at the top with those working in high-end parlor houses, and ending with crib girls at the bottom who had to see multiple men a night just to survive. Unfortunately, given the unforgiving nature of the business, there was almost no possibility for upward mobility. Instead, women who aged badly or contracted a venereal disease had only one way to go—down. The idea of a prostitute marrying her John and escaping the life has been romanticized as well; when it did happen, it often ended badly due to suspicions of infidelity. The sale of alcohol to Native Americans had been prohibited since 1802, but it was not until 1832 that Congress passed a law banning it entirely from Indian Territory. One judge later explained its purpose as being for “the preservation of order in the Indian tribes, and peace between them and the frontier settlers” which sounds nice, until you keep reading: “…and the preservation of the existence of these savages.” The United States government clearly had the native people’s best interests at heart. Right. Much as prohibition in the 20th century led to the rise of the mob, prohibition in Indian Territory led to all kinds of smuggling efforts, particularly on its Kansas border. Natives who wanted to drink or purchase liquor were required to come over the border to do it, yet any native who wanted to conduct trade business could not do so if they were so much as judged to be inebriated. The law was also nearly impossible to enforce, especially given that the various tribes were not consulted on it beforehand. Far from being the protective measure judges claimed it to be, evidence suggests prohibition caused a whole slew of other problems, ultimately doing more harm to the Midwestern tribes than good. Many U.S. Marshals have gone down in history as tough as nails, and rightfully so, but those brave men who guarded express cars were no shrinking violets either. Following the Civil War, train robbery became a profitable industry for many outlaws, and the most valuable target was a train’s express car. At least one express agent was situated inside along with a substantial amount of money. His job was straightforward: if the train was held up, he was to defend the express car at all costs. That meant everything from barricading the door, to ventilating any robber who made it inside. Unfortunately, outlaws would not infrequently try and blow up the barricaded door, maiming or sometimes even killing the agent inside. In one instance, to avoid such a fate, an express agent let an outlaw inside, giving the appearance of surrender. Only to then take an ice maul to the misled bandit’s head. Not such a pacific fellow, after all. The West was a unique culture all its own, where outlaws prowled the open ranges and feuds drew whole families into conflict. Women were as present as men, and made of just the same mettle. Prohibition in Indian Territory caused more problems than it solved, leading to smuggling operations on the part of white settlers in particular, while express agents were the first and often last line of defense against greedy killers. As a setting, the Old West offers a gold mine of potential storylines and characters—certainly more than the stereotypical lone ranger tale! If you’re going to tackle the Old West, consider drawing from its bottomless well of real life history, rather than decades-old film classics. In addition to inspiration, you’ll discover diversity and details necessary to making your readers feel like they’ve just stepped outside for a showdown beneath a hot, Western sun. This was great! I was really disappointed to see your book isn’t available yet, it sounds really interesting!